A new event aiming to tackle problems faced by elderly people will see businesses, academics and artists join forces to create innovative solutions to the challenges they face, such as mobility and loneliness. 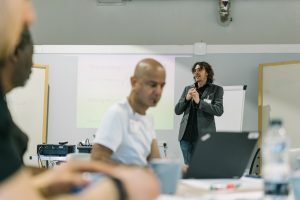 Coventry-based ExtraCare Charitable Trust, which provides an alternative to care or nursing homes with its retirement villages, has come together with Birmingham City University and Eastside Projects’ STEAMhouse to call on local innovators to join the two-day STEAMlab hack event. The challenge – STEAMlab Urban Hack: The Future of Retirement Care – tasks attendees with finding ways to improve how elderly people are able to move in and out of ExtraCare facilities, and come up with methods of connecting residents with those with common interests or needs to increase social interactions. “Our charity exists to enable better lives for older people and create living environments that improve quality of life and aid independence. To successfully deliver our vision, innovation and the integration of technology into our retirement villages is pivotal. “For our residents living with restrictions to mobility or simple everyday tasks, it is important that they feel they have the confidence and freedom to continue doing the things they enjoy. STEAMlab events bring West Midlands businesses, innovators and creatives together to work together and build solutions to real-world problems and challenges facing the region. The upcoming ExtraCare-supported event takes place on Tuesday 21 and Wednesday 22 August at STEAMhouse in the Digbeth area of Birmingham. STEAMlabs are part of STEAMhouse, Birmingham City University’s new centre aimed at encouraging the collaboration of the arts, science, technology, engineering and maths (STEAM) sectors. Creations devised during the events have the opportunity to secure funding opportunities, lead to prototypes being created or have their innovations fast-tracked. 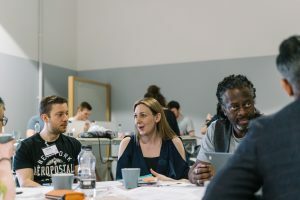 “STEAMhouse is all about bringing together people from across the arts and tech sectors to create innovative new products which have the potential to transform lives. Innovators are given the opportunity to amend and adapt existing technology or devise completely new creations in order to tackle the challenge presented to them. STEAMlab Urban Hack: The Future of Retirement Care is free to attend, but booking is essential. For more information and to sign up to the event visit Eventbrite.